Ever wondered which edition of Windows Server 2012 R2 is right for you , your company or which one to evaluate? Well Microsoft has released a single page, PDF download which shows everything you wanted to know about all the possible editions of the product and were too afraid to ask. This family of products caters for business of all sizes from 2 users to millions of users. From no virtualization to unlimited VM’s. 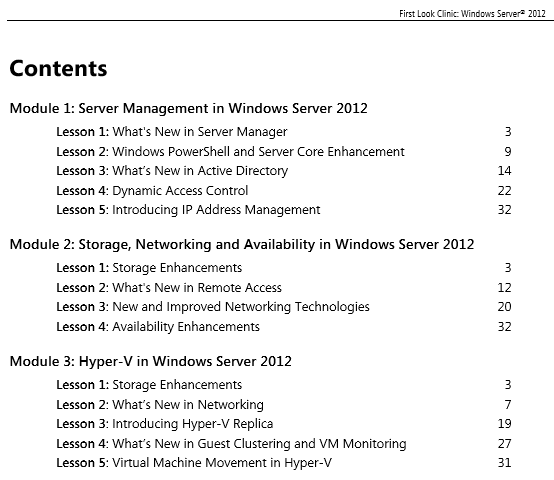 Not forgetting the completely free edition Microsoft Hyper-V Server 2012 R2. Why not visit the Cloud OS Evaluation page and try out the one you think would be best for you? For those chasing certification in any area that includes Windows Server 2012 R2 – this is an invaluable desktop study resource. Currently the MOC20409 courseware is available but not shown as available online, I don’t know of any scheduled classes. There is no specific training that I know of for this published electronically or in paper form. So how does one study for an exam on some very complex topics without access to formal training. EASY! – Microsoft Virtual Academy virtualization courses are excellent. The latest is specifically aimed at this certification. 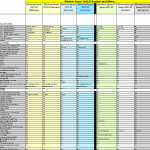 Be aware though that this is not an online cheat sheet it is a series of PowerPoints and videos from the November 2013 JumpStart run by Symon Perriyman (twitter @SymonPerriman) and Corey Hynes. This is two full days of training by industry experts on the details of the products and demonstrations of key tasks. Also anyone taking a Microsoft Exam should be aware that no training is good enough to pass an exam on its own, you need hands-on. Either build a lab for this or got to the free Technet Virtual labs. Here. I was a little disappointed to find that there were a couple of errors in the questions and commented on them at the end of the exam, but nothing too dramatic and certainly not enough to cause great concern. This is a great certification for anyone who wants to prove their skills in creating managing and monitoring virtualized servers or clouds. Not just overviews but deep technical aspects so make sure you prepare well. Dive in and have a look – remember MVA and Labs is the key to this one. Each year I sit down and think about what I would like to study. (and certify in). Some years its simple, there is a new Microsoft Server or Client OS on the horizon and I need to take those to be able to teach the classes. Some years it is less obvious, nothing major on the horizon and having a slow old brain, I am not able to teach the whole product stack, so stick to those areas I know best. This year is an in the middle year. The targets are easy to identify and less easy to achieve. The MCSA in Office 365 goes live in February and having recently sat the Beta tests, I am certain I will be retaking those in early Feb. ( the MSOnline PowerShell module is an area I will need to brush up on). I am also taking the stand alone certification as a Virtualisation Specialist (74-409) all about Hyper-V, System Center VMM and System Center DPM. Other than that I would like to update my MOS Master to the 2013 version but this is proving somewhat problematic. I simply cannot get past the first of the Word 2013 expert exams. Much work to do there then! Whatever you want to study you can’t do better than taking a look at Microsoft Virtual Academy here , hundreds of hours of free training with jumpstarts, tests and pdfs galore. It is absolutely my first port of call. Happy New Year and Happy Studying. As with most years, there are many things I know now that I wish I had known on January 1st 2013. In tech terms I have known for a long time that certain undeniable truths exist. Windows isn’t perfect (any version), nor is Mac. No matter how fast or wide the broadband pipe you pay for, no matter from whom you buy it, you don’t get what you think you should. The single most important tech I have embraced this year is Solar PV energy generation, but unless you have it, it’s not exciting or interesting and I would soon enter the boring corner on my feed- in tariff and how much carbon I saved, directing you to my energynote.co.uk site to see my annual analysis. This would not win my prize! In terms of technology related to my day to day working life, and in relation to this submission, I have known of and used this technology in every version of Windows Server, Client and Exchange Server, amongst others since 2008. I am referring to the beast that is PowerShell. Those of us who take Microsoft Certification tests have met this beast on many occasions and I would guess that most have come off second best. At once the best and worst of all command line interpreters, scripting languages and formal programming languages. In August of this year I decided I needed to ‘learn PowerShell’, now I am a fairly qualified guy, lots of letters – MCT, MCSE, MCSA, etc. but I had put this task off for so long simply because I anticipated the effort and time involved would be unreasonable. So what exactly, do I regret not having known at the beginning of this year – Just exactly how wrong I was and how PowerShell can change any administrators life for the better in a very short space of time. First stop should be a two pronged attack Buy Don Jones’ book, PowerShell in a Month of Lunches and enrol on the MOC10961B Automating Administration with Windows PowerShell course. Whilst waiting for the book to be delivered and for the course to commence. Visit Powershell.org and Powershell.com, finally take a look at Thomas Lee’s PowerShell scripts blog. The point of all this research? Well two-fold really. To see just how powerful this shell actually is. To see how much has already been done for you. Once you understand the syntax, constructs and methods of the shell, you are able to beg steal and borrow anything that does the job and amend it to your own needs. Yes you do have to learn and no it’s not all that easy. But the resources are all there and trust me – it’s fun. I now teach PowerShell courses to beginners and I regret not having knuckled down and done it a long time ago. The future is bright, the future is PowerShell. Go find out for yourself. Time to reflect on the last 12 months and look forward to the next. This has been an incredible year personally and professionally, a home move, expanded into new vendors to teach and qualified as a NetApp Certified Instructor (NCI) and qualified to teach EMC Isilon, I gained a few more Microsoft certifications and started teaching other topics within their portfolio. This was brought home to me whilst sitting in a couple of Beta exams the other day. I sat for the Office 365 MCSA exams 71-346 and 71-347. Office 365 is definitely the direction to take in the world of Devices and Services (more of that later). This exam whilst still a Beta and under an NDA, I can say that without a detailed knowledge of the Shell (PowerShell v3.0), its constructs, CmdLets and syntax it will not be possible to pass this or, I believe, any of the new breed of Microsoft Certification examination. It is definitely now, the Shell, the whole Shell and nothing but the Shell. My advice to anyone wanting to develop their Microsoft Infrastructure skills – get yourself on the 10961B somewhere, somehow. By the end of January 2014 i will have taught this on well over half of the last 10 full week training engagements. Word is getting out. So – Office 365 is essentially the vast majority of Microsoft productivity software available whenever you want it wherever you want it for a monthly fee rather than an upfront charge. Depending on which subscription you opt for (and you can upgrade at any time) you have access to the full Office 2013 suite of products. Exchange online for email, SharePoint online for team and external collaboration and Lync online for global communication by Lync, skype and other IM solutions. In addition to all this, you can have access to all the Office web apps, calendar, contacts and SkyDrive Pro , which is your own personal cloud storage area. The individual products have been around for a long time but the ability to provide all of this for any level of consumer, from a student on a low budget to an enterprise that wants full integration with their Active Directory and a Single Sign On (SSO ) solution is new and unique. My New Year’s resolution is to make much fuller use of my Office 365 subscription. On my iPad, on my Surface Pro on my desktop and on my android phone a true Devices and Services solution for all. I have made a decision that I ought to post more to my blog. Not worth having if it’s not current and dynamic. So a quick update – I have recently branched out into non-Microsoft topics such as NetApp and EMC Isilon storage solutions both great products, I am looking forward to teaching those in the very near future. So much to learn and teach and so little time. I taught MOC10961B for the first time last week (Automating Administration with Windows PowerShell) a great course with great labs and so rewarding to teach. The course develops the student throughout and each lab builds on their skills. Written by Don Jones the mastermind behind powershell.org and many PowerShell books such as Learn Windows PowerShell in a month of Lunches – which is simply brilliant too. It will soon be the case that if you can’t use PowerShell you will seriously limit your ability to use Windows Server and other Microsoft Server products effectively. Finally I got some really good news this weekend i have been accepted as one of Microsoft Learning’s MCT Regional Leads for the UK. This will involve acting as a mouthpiece for the MCT community and in communicating the benefits and developments in the programme to MCT’s and prospective MCTS’s all over the UK. I am looking forward to the challenge ahead. Windows Server 2012 – Tech Showcase – The Full Story – Demons and all. 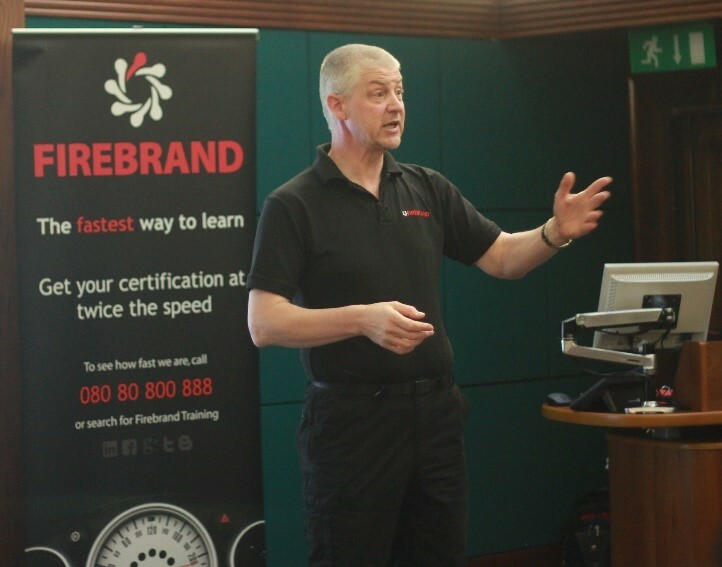 Ed Baker is a Small Business Specialist, a Microsoft Partner and an MCT specializing in Windows Server and Client Products with 20 years industry experience, currently teaching for Firebrand Training and the Firebrand Microsoft IT academy Programme. The second half of 2012 has been an exceptionally busy time for Microsoft, many major software product releases have been carefully co-ordinated, a brand new hardware product, Surface has hit the shelves amid a storm of interest and there’s the little matter of a new Windows Phone 8 software and possibly hardware too. Amid all this corporate excitement, Microsoft Learning has managed to produce a new event concept, the Microsoft Tech Showcase. In short, this is a half-day session hosted by Microsoft Learning Partners to reveal the new features in the many major new products in a series of focussed technical classes. Currently, the Tech Showcase Events registration site lists the following products. Not all of these events are available in all countries. In October 2012, I was asked by Firebrand Training, a Microsoft Gold Learning Partner who usually deliver best of breed residential accelerated learning and certification courses, to prep for, and deliver a Tech Showcase on Windows Server 2012. The tech showcase was to be a half-day event, based on the First Look Clinic Microsoft Official Courseware (MOC), at the University of Westminster in London. Most of Firebrand’s UK courses are delivered in its state of the art training centre at Wyboston Lakes in Bedfordshire. The course was run as a seminar rather than a classroom event and so was set at 50 places. Having been offered to thousands of Firebrand newsletter subscribers, within a few days it was oversubscribed. An extra 10 places were added, which although the Boardroom at Westminster University can handle more, to be able to demonstrate effectively (I wish) and visibly to all delegates 60 was the absolute maximum. 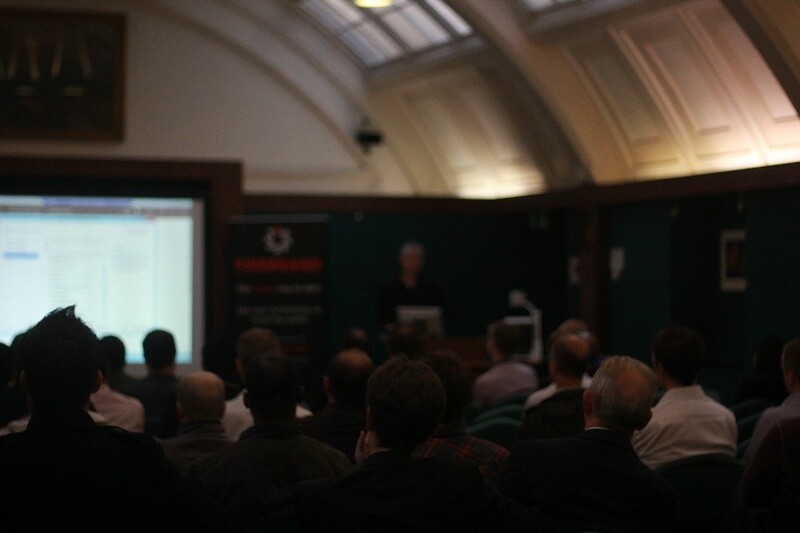 The attendees ranged from journalists (see report on the showcase) to Senior IT managers and first line technicians. The product was generating a high level of interest from the whole industry. Having been asked to deliver this brand new product on brand new material, I was keen to make sure I had completed my MCSA Server 2012 before the presentation on 4th October. Luckily I had passed the 70-411 and 70-412 examinations in the BETA phase so only had the 70-410 to take (I wasn’t invited for that exam – the invitations are randomly generated). Having completed that exam towards the end of September it was onwards and upwards to the material. My first job was to make sure that the MOC was deliverable in its original format. In the past some of the materials have not been as audience ready as I would like. The MOC for all of the Windows Server 2012 courses that have been released (MCSA courses 200410, 200411, 200412 and the upgrade to MCSA course 200417) are of superb quality. Readable, full of detail and useful points and not just large pages of slides with a few notes. The Course required live demonstrations using Virtual machines in Hyper-V, I chose to use the Hyper-V Client provided in Windows 8 (the RTM version) and tested them all, several times. Interestingly the course also included three demonstrations that were pre-recorded. These pre recordings were for product functionality that is very hard to demonstrate in a short time or with limited numbers of servers. The day dawned and I arrived at the venue a good two hours early and began setting up with the Firebrand Marketing Department who were busily arranging the refreshments, marketing displays, radio microphones and all the other event type stuff. The first problem I encountered was the built in rear projection system was non-functional, so a temporary solution had been created, which worked but did mean the delegates would be further from the screen and I was concerned about the resolution of the screen for the close demo work, especially the recorded ones. No one wants to sit and watch a mouse move over a fuzzy screen without seeing the detail. The next problem was that the event was to be video recorded so there were sound level tests, background noise tests and all sorts of set ups to do. Oh how I just love being recorded – NOT! Once all the preliminary tasks were sorted it was time to run through the slide deck and demos to make sure the system was functioning the same as it had the night before in the hotel room. It was! A good start. The First Look Clinic has three modules with lessons in each module. It covers the following modules and chapters. Windows Server 2012 has hundreds of new features and is as visually different to Windows Server 2008 as Windows 7 is to Windows 8, so the culture shock and initial trepidation of moving to the new platform could be high. Microsoft seem to have chosen the safe topics to demonstrate in the First Look Clinic. In the world of Microsoft, everything is getting very cloudy indeed and to use their own terminology, they seem to be super excited about that. Eventually the audience will understand the benefits, take the plunge and ‘go cloud’ or at least ‘go hybrid’. Until then a lot of delegates at training courses and tech Showcases will need convincing. I am not going to spoil the plot of anyone attending a Tech Showcase in the near future, if you want to learn about Hyper-V replica, how you can manage thousands of servers and install roles such as DHCP server with a few clicks to all of them (if you wanted to) then book your showcase now. The event lasted from 0930 to 1300Hrs with one 15 minute break for a drink and then a buffet lunch at the end. The concepts and content were well received and the product was a definite hit with all that attended. Wherever possible pre-record ALL demonstrations to avoid the demonstration demons leaping up and slapping you. It is not a pleasant experience. What are my thoughts on the Tech Showcase concept? Well I have downloaded all of them and even though I do not teach some of the products, especially the development side (a very dark art if you ask me), I will run through them all and will attend any that I am free for in my local area. A great new idea well executed. What are the delegates’ thoughts on the Tech Showcase? I have listed some good and constructive feedback below. Good information in a short space of time. But there was also this: “Not sufficiently rehearsed, bad visuals” – you can’t win them all! Sometimes no matter how careful you are with the 7 P’s – the performance isn’t always as you would want it to be! Yesterday I finished teaching my first Windows Server 2012 MCSA course for Firebrand Training at Wyboston Lakes in Bedfordshire. The course kicks off on a Saturday evening at 6pm with induction to the centre, the training facility the classroom and the instructor. This is swiftly followed by dinner and then the first module of the 20410A MOC course. This might seem a bit harsh to work late into the evenings but the whole focus of the course is to accelerate the learning process by around 50%. The three courses involved 20410A, 20411A and 20412A lead to the 70-410,70-411 and 70-412 examinations respectively and these in turn lead to the new MCSA (Microsoft Certified Solutions Architect) certification. This blog entry is a short introduction into the difference between this MCSA and previous one for Server 2008R2. To Gain that certification also required 3 examinations. The 70-640 the 70-642 and the 70-646. Many but not all of the topics are the same. The big difference in the exams and indeed in the MOC courses are that in the previous version the 70-640 was the Active Directory, the whole active directory and nothing but the active directory. The 70-642 was the equivalent course but for the Network and network services. The final exam 70-646 drew everything together and expanded on the topics to a PRO level. 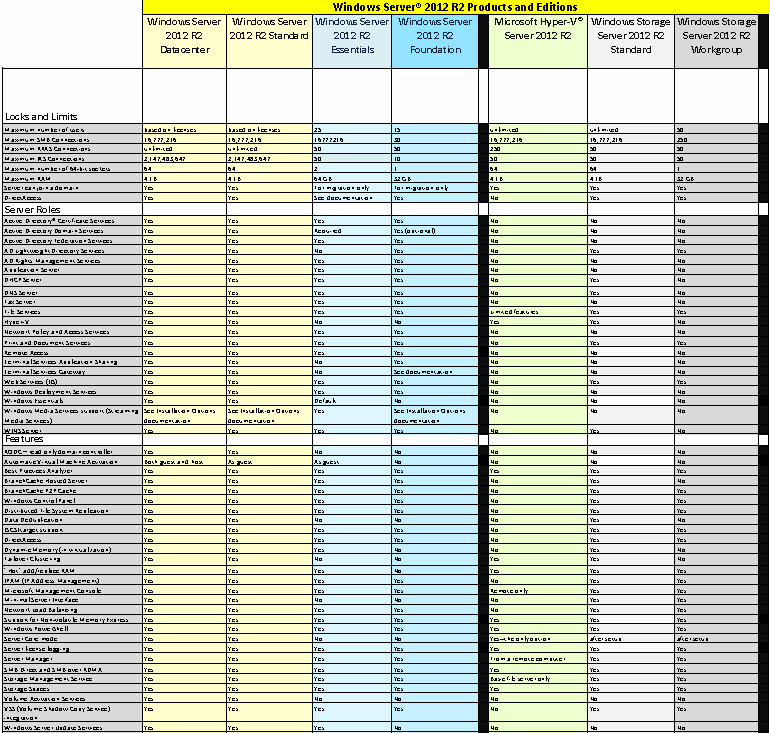 The Server 2012 courses and syllabus for the exams are a complete change. Each exam pretty much covers a bit of everything with only the most advanced areas added in the final 70-412 exam (topics such as Federation Services, Certificate Services and some of the more complicated new features like IPAM). So – much more solution focussed at every turn, rather than a specialist in AD DS, you may be considered a more rounded Server installation consultant if you pass the 70-410 examination. The other huge change in the MOC strategy is to provide courseware of such a huge leap in usability that they are almost unrecognizable. The content is great, the labs are relevant and almost all work, almost all of the time (even under severe time pressure). Some takeaways for me. Always, always makes sure every machine has the correct spec and to suggest to Microsoft that they revise their Hardware Levels… 10 VM’s in the 20412A course – a little slow would be a more than fair description (even with 16GB RAM and hefty processors). More later but in short a great 8 days, lots of great new people met and taught. Lots learned, lots of exam passes and 8 new MCSA’s in the wild. (soon to be four more once a the odd retake is sorted out). Having now taken a whole load of BETA and Live Windows Server 2012 Exams (well, all of them), I can now see what Microsoft are doing in bringing back the MCSE. I can only explain to a certain level as the Non Disclosure Agreement signed before every Exam and the one contained in the Microsoft Certified Trainer agreement do prevent any real details of exams being disclosed. Indeed I support this wholeheartedly. Robust and secure exams that maintain the integrity of the certifications are essential. I have now completed the MCSE journey Private Cloud, Server Infrastructure and Desktop Infrastructure. One thing is for sure, I won’t be teaching all of these the breadth and depth of knowledge is too much to maintain at a level for me to be able to do justice to either bespoke or MOC courses. Still I can now, for the first time, see and support the new level of examinations. The MCSA stream is versioned (i.e. SQL Server 2012, Windows Server 2012, Windows 8) and these DO NOT need recertification. They are primarily single product focussed for the main part. Although at least 1 exam in each series does deviate into supporting technologies in detail. Take the soon to be released 70-688 for the MCSA in Windows 8, this was quite a challenge as a BETA exam and covered all sorts of technologies that the average Windows 8 user will never have seen. The syllabus covers DaRT, MBAM, MDT, and a whole host of other Microsoft supporting technologies like Intune and Office365. It covers these in detail and you would need to have been a regular or administrative user to be able to pass this exam. The 70-687 was, however, much more straightforward. This concentrated on the Windows 8 product itself and it was refreshing to see the recent trend to making client exams very hard to pass reversed. The Server 2012 MCSA mirrored this with 410 being straightforward and 411, 412 becoming progressively more challenging and dealing with concepts that are harder to grasp and implement. The MCSA is a challenge. BUT the MCSE is much more. It is a whole change of direction. Let me explain. In the old IT Pro exams you may have been required to understand that Microsoft System Center Config Manager was the only way to perform certain deployment scenarios and SCCM could be a correct answer (or a wrong one). But that was pretty much the level of knowledge required. In the new MCSE level examinations, it is a common and regular occurrence to know the whole cloud story. As an example, to pass the Infrastructure certification examinations, you would need to have a detailed knowledge of ALL the elements of System Center 2012, how they work together and what is required to be done within them to achieve a solution. A question could ask what elements of System Center are required to go with a scenario or how would you design the System Center architecture to provide a robust update solution, for example. There is never a better time to dive into certification of a product than a few months after the launch, especially as Microsoft are currently running their second shot promotion – Fail a test and you get 1 free retake. In effect, nothing to lose. Microsoft Second Shot Promotion – what have you got to lose? This last week I have been teaching a new cohort of Firebrand Microsoft Apprentices. The Firebrand model of accelerated learning is a complete shock to them – particularly the early mornings and late nights full of work rather than FIFA or Football Manager. Despite this, the youth of today are not all hoody wearing, knife carrying recalcitrant recidivists. Quite the contrary, these 16-18 year olds have just spent a week learning the CompTIA Server+ syllabus and although they have all completed the GCSE ICT syllabus and all achieved at least a grade C pass, not on of them had opened a PC box or done anything about the makings of a PC, or looked at IP addressing. The sum total of their qualification was using Office and producing documents. That sounds more like the very useful ECDL to me not a premier academic qualification. The great news is that the new IT qualifications in schools are set to become much more testing, useful and valid for an employer of an IT technician rather than a general office worker. About time too. Right off the soap box again. In other news Apple tried to derail Microsoft’s huge release of Windows 8 and failed to do so, although the iPad Mini does look quite cute. I for one am waiting until Father Christmas brings me a rather nice 128GB Surface Pro. I was also successful this week in a few exams. The CompTIA A+ examinations and syllabus have had a recent overhaul – another about time too could be added here. At last the exam seems more relevant to 2012 and beyond We now have simulation questions and drag and drop answers. Also the exams are split between Hardware and Software rather than the tenuous titles of the previous 701 and 702 variants. Well done CompTIA 801 and 802 are jolly good tests, Server+ could do with a revamp too! My final two exams were the BETA of the Windows 8 MCSA exam, I look forward to taking it again when it goes live in December – not hopeful of a pass there. I need to play with my tablet before I can pass that exam. The last one was a success story – 70-415 the final piece in the MCSE Desktop Infrastructure jigsaw for me. This was a beast of an exam – over 3 hours long and involved a good number of Microsoft’s new item types (I can say no more without contravening the Non-disclosure agreement). Now for a weekend of peace and quiet – or am I installing Windows 8 on all my home PC’s!!! – I think so.